Regardless if you need axial, centrifugal, low-pressure, medium pressure or high pressure fans for any imaginable application, we can offer you the appropriate solution. See for yourself and make your individual enquiry now. 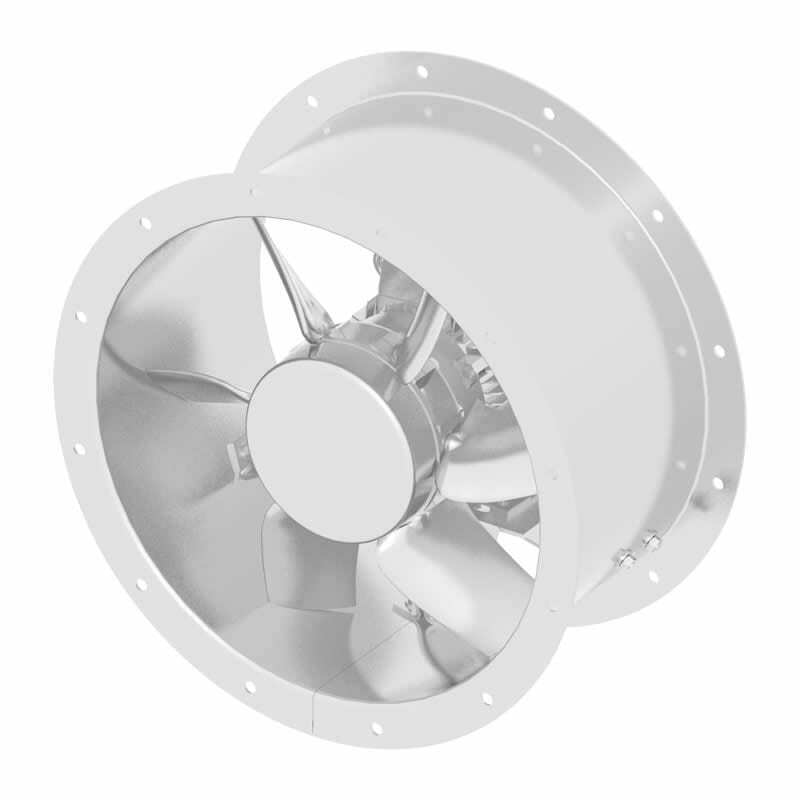 Our axial flow fans are produced with diameters of up to 2500 mm. The modular structure of the fan is unique and extremely flexible. We can react quickly to your customer request, with high quality. The enormous advantage of our wall fans is reflected in the drive concept. Due to the optimised motor mount, the wall fan series can be constructed with a standard asynchronous motor. 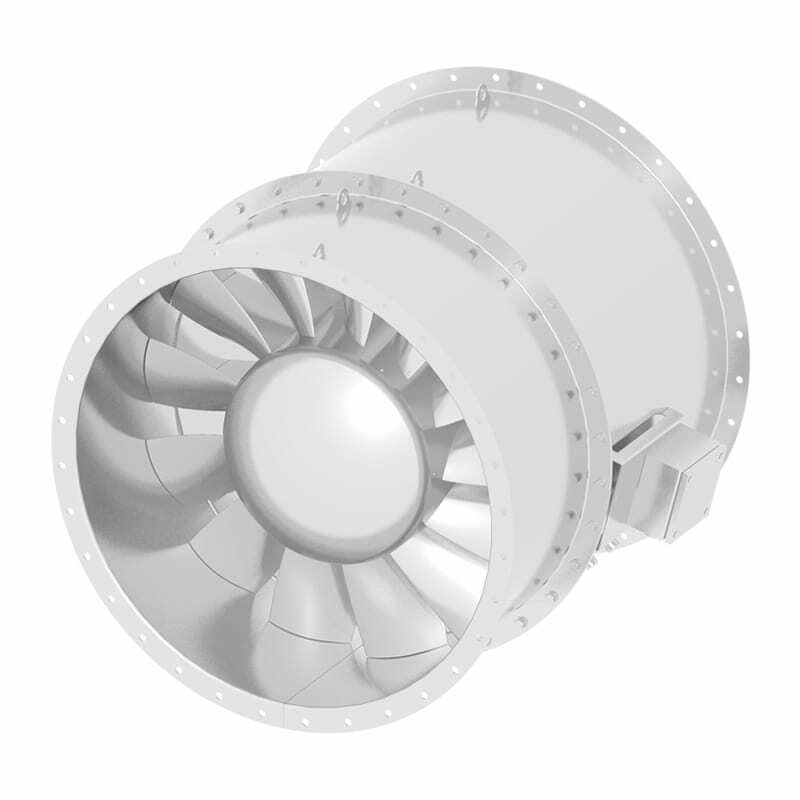 A further axial flow fan variant is the exhaust air box. This special design is used for smoke and heat protection. 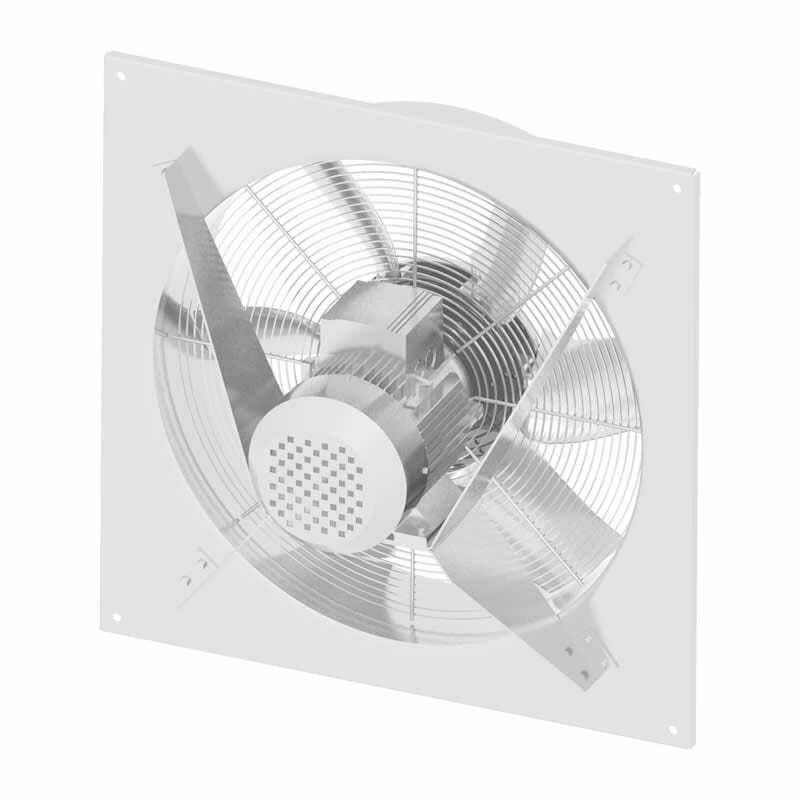 The fan is integrated in a system box, to guarantee simple installation in stairwells. New generation aximax® high-performance axial flow fans promise a very high degree of efficiency, which goes far beyond the 2015 EuP Directive. A further variant is the impeller-guide vane version. It was developed specifically for application areas with a high pressure rating. A further goal was to develop an extremely quiet blade. Ventilation of administrative buildings, schools, residential buildings, high-rise buildings, etc. The corresponding motor type can be found in your operating data sheet documentation. With the axiwand® high performance axial flow fans from WMB, we can make you an offer with a very good price/performance ratio, and the modular structure is very flexible and can be easily modified. The particularity of the WMB wall fans lies in the design of the motor mount. The compact fan can be installed in any position and standard three-phase motors IMB3 can be used in the base-mounted version. The WAB exhaust air box is comprised of a frame profile with corrosion resistant aluminium and an integrated aximax® direct drive axial fan. The robust corners are made from die-cast aluminium. Furthermore, the double shell, galvanised side walls with embedded, incombustible, sound and heat damping insulation are designed for smoke and heat protection. Our product catalogue contains additional information about our entire product range. Furthermore, we are available at any time to provide you with consultation either in person or on the phone.